What A Truck! 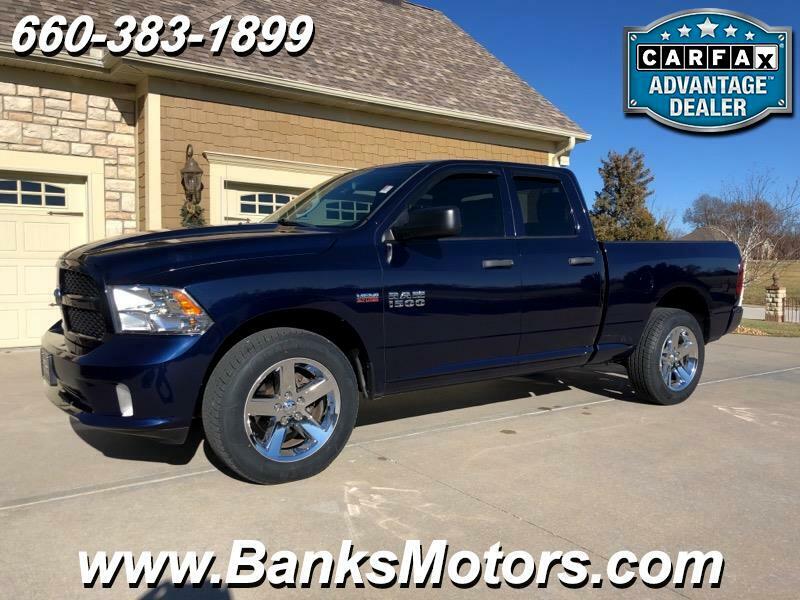 2014 Ram with Very Low Miles, BRAND NEW TIRES and the Legendary 5.7 Hemi V8! This 4x4 is in Excellent Condition Inside and Out and comes with some Very Impressive Options which include....Bluetooth, Mounted Audio Controls, Power Mirrors, 20" Chrome Wheels, Custom Tinted Windows, Bedliner, Tow Package, Dual Exhaust, Keyless Entry, Tow/Haul Mode, Folding Rear Seat, AVS Window Visors and So Much More! We are located in Clinton, MO, less than an hour southeast of Kansas City! No Games, No Gimmicks, Just the Right Way of Doing Business!